1965 was a real transition in my life. My parents had reunited after a nearly year-long separation. We moved to a house on 88th just off Holgate, a main thoroughfare next to Lents Park. I had hoped that I would be going to Barlow elementary once again-which I did, but only briefly. For in the fall of '65, we moved yet again to a neighborhood parked in between Powell Blvd. and Division Street. Many cultural things had greatly influenced and changed the tides of my young world. A new toy called "G.I. Joe" had just come out and it was brilliant! Us guys never once acknowledged, or acceded to the fact that Joe was just a doll. He had the coolest accessories such as rifles, tents, flame throwers, grenades, canteens, and you name it. The best thing about G.I. Joe was that there were several box versions of him, plus boxed play sets. My favorite was the"Deep Sea Diver". 1965 also brought The Beatles' "Help! ", with a truckload of songs that to me, were absolutely haunting and unforgettable. I thought then that the Beatles were perhaps, the new world superpower. Aside from the title song, "I Need You", "You've Got to Hide Your Love Away", "Another Girl", and "The Night Before" were some of the greatest pieces ever written. Surf was the word-and not the bird in 1965. Sidewalk surfing was the craze. This is how it went: first, your parents bought you a skateboard. Now, these were basically flat sticks with roller skate wheels on them. What we did was pull the wheels off and put them onto larger pieces of wood, making our own "street machines". 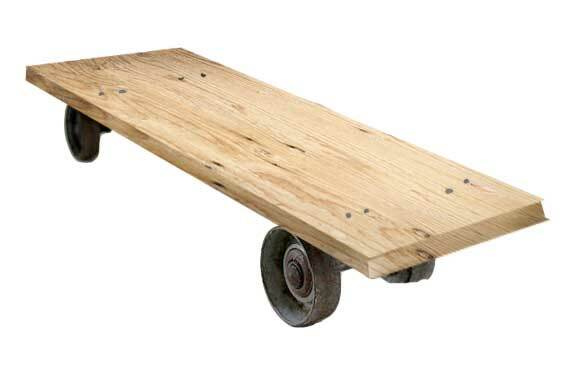 My first board was this "Roller Derby" skateboard. The neighborhood craze was to build your own go cart out of wood, lawn mower, baby buggy, or tricycle wheels. I was very popular when it came to this because my dad had an ultimate workshop with hundreds of tools. That was his hobby, collecting tools. My brother pat's hobby was old lawn mowers and engines and such. Therefore, we had plenty of tools, wheels, and axles on hand. Unlike Ford, or General Motors, we had no way of product testing our vehicles. The true test of endurance was on a steep, dirt hill which we had plenty of then. The best way to test out these Go Carts was to find the most gullible, or heaviest kid on the block. Often, the two came in one package. My Go Carts always held up well due to my reinforcing the rebar axles with plenty of U-shaped nails. FRAME: Plywood body and back rest. TRANSMISSION: Any kid dumb enough to push you around all day. STEERING WHEEL: Rope for steering. Feet also worked. Rebar worked great for axles. My underwater fever all started one hot afternoon as I walked up to Great Western -our neighborhood sporting goods store just off of 82nd and Division street. Great Western was a a new store to our area and truly featured only sporting goods. As I wandered around the camping section, I came upon swimming gear and a huge stand-up display. The picture was of the most enchanting blue water with a snorkel diver penetrating the shallow sun-rippled surface. That summer my parents bought us an above ground pool with plastic portholes on the sides. The pool was just a cheapie, but it served our purpose. I was entranced by those portholes and the ability to see clearly under the water's surface. Now, having been a long-time "sea Hunt" fan, being able to see clearly underwater was about as cool as it got! I went back to G. I. Joe's and purchased a set of swim fins, mask, and a snorkel, and did my first breathing underwater. Naturally, all the neighbor kids wanted a chance to dip in the pool, and everybody came over. The neighbor girl next door, who was 4 years older than us also tried the pool. In playing around with her brother, her bikini top came loose under water, and I was then treated to a real underwater adventure! I often think about that little above-ground pool, and those days of having Scuba Fever. To this day I can't think of the song "Green Grass" by Gary Lewis and the Playboys without being right back in that same old backyard in 1965. There was a day when I'd inherited a vast sum of $25. This was in 1965. I ended up spending it all on a series of different model kits. The most of these new models were extremely difficult for me to build. The tanks and the planes were the worst. The ships were easy, just a bit difficult to get the hull pieces to stay on. "The Invaders" UFO model was a no-brainer with just a few pieces, while the "B-17 Flying Fortress" was maddening. Most of these kits were beyond my years. It's just too bad that the cover paintings weren't. I can also remember building many model cars. Some were more difficult than others, but they were just so cool that I couldn't stay away. That summer of '65 also saw me re-purchasing all of the Aurora Monster models and re-building them. I was largely influenced by a kid on the block who could paint models like nobody's business!He was a few years older and could paint with dynamically realistic detail. He had professional modeler's talents, and was doing things with model kits that no one had ever heard of before. I remember that he had an Aurora "Chamber of Horrors" that he made himself to display all of his Aurora monsters. I was beyond envious and from that day forward, looked upon modeling as absolutely serious business, though it took me many years to match his skills. 1965 finally brought my first viewing of "The Phantom of the Opera" to TV. However, it came on at 9:00 pm which was my bedtime. So, I sneaked under the kitchen table and watched the whole thing from the sanctity of the cold tiled floor. I was truly hoping that my parents would watch it simply because "there was nothing else on" -which happened to be true. The Phantom was a sad and cruel revelation, for it was really short on horror and long on opera. For a kid, the Hammer Films Production of The Phantom was probably the most entertaining and inventive. Still, it had one interesting commodity: actress Heather Sears whom I developed an immediate and overwhelming crush on. The crush manifested itself in the form of transference to any girl in school (or anywhere else) who even slightly resembled Heather. of memorabilia brings back special memories for me. New soft drinks and new TV shows bring back the most vivid of recollections. "Fresca" and "Mountain Dew" were new. So was a wonderful afternoon TV show called: "Where the Action Is". The show was hosted by Paul Revere and the Raiders, and was a zany blend of comedy, fun and music at 4:00 pm everyday. As soon as I got home from school, the TV went on, and I was in front of it. I haven't met a lot of people who remember this show though. During this period, I used to watch "The Lloyd Thaxton Show" also. I Loved Dad's Root Beer and Cheese Nips. Wasn't "Dad" a rather sinister looking piece of art? I think that's why I only drank "Dads". Watching "Gomer Pyle, U.S.M.C." and eating Cheese Nips accompanied by Dad's Root Beer was a great way to spend an evening. Later, it was even more fun to catch Diana Rigg and "The Avengers". Pocketknives and oil cans remind of the days that I call "The Grease Rag Diaries", and all of the wonders in my dad's workshop. My mom used to collect the "Currier and Ives" dinner plates. Food always seemed to taste better on those plates. It was fun to eat the macaroni and uncover a picture at the same time. Remember Monkey Grip patch kits for bike tires? I had become quite the pro at fixing flats.